Page and Palette will host award-winning author Ravi Howard for a “Wine & Sign” author event with the release of his historical novel “Driving the King.” Howard will be at the bookstore on Thursday, Jan. 29 to discuss and sign copies of the book beginning at 6 p.m. Tickets to the event are $5 and may be redeemed as a coupon toward the book purchase. Tickets are available for purchase prior to the event at Page and Palette or at the door the evening of the event. For more information, contact Page and Palette at 251-928-5295 or www.pageandpalette.com. It’s not you, it’s me: breaking up with the fairytale narrative. 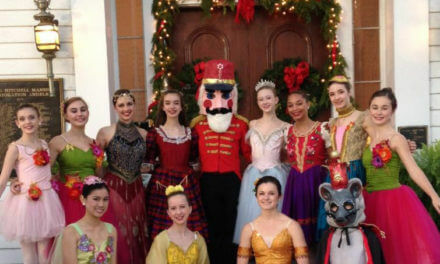 Whether you are running around kissing frogs looking for your prince, or scaling the racks at DSW for your glass slipper; this night will examine why everything might not have a fairytale ending when the clock strikes midnight. And why that is OK. A 30 minute presentation followed by an open discussion mixer at the Mobile Museum of Art, 4850 Museum Drive. The talk will begin at 7 p.m. For more information visit mobilemuseumofart.com or call 251-208-5200. Anyone can grow your own fruits and veggies no matter where you live or how you live. Hydroponic gardening is better for you and cheaper in the long run. In this class we will show you different ways to make your own hydroponic systems. Refreshments will be served before class begins and as in all our classes, you will take something home with you. Bring your notebook, as we will introduce you to a lot of new things. We will have extra helpers there to help answer questions. The class starts at 10 a.m. at Seasons in the Sun, 13006 Jenkins Pit Road, Spanish Fort. To register call 251-423-4381 or visit seasonsinthesun.biz. Join the Government Street Presbyterian Church for lunch and a speaker every Thursday through March 26. The speaker this week will be Jeff Collier, Mayor of Dauphin Island. The lunch and forum is held in the church’s Fellowship Hall at the Jackson Street entrance on Government and Jackson streets. Lunch is served at noon and cost $10, which includes tea, coffee and dessert. There is no charge to attend the forum. For information, call the church office at 251-432-1749. An emotional tale of unexpected love found while an American mother and daughter are visiting in Italy. This beautiful love story with its rich, lyrical melodies and romantic tunes will set your heart on fire. The play run through Feb. 1 at 7:30 p.m. and on Sunday at 2 p.m. For tickets and reservations visit cctshows.com or call 251-457-8887. “Ark of India: An Alabama Artist Explores Southern Asia” is an exhibit about personal discovery and exploration. It is an account of late 19th and early 20th century India as seen by Alabama artist Roderick D. MacKenzie, using his paintings, drawings, sculptures and most importantly, photographs and writings. The exhibition is organized by the History Museum of Mobile at 111 S. Royal St. and is on view until Sept. 1.. Admission is free. The Charity Chase is a 5k race that allows you to compete on behalf of your favorite nonprofit organization. If you select St. Mary’s Home upon registration, we will automatically receive a portion of your registration fee and we will be able to win even more money based on your performance. Top overall male and female finishers will win a Jackpot Donation for their selected charities. Top age division winners will gain additional donations for selected charities courtesy of race sponsors. The race will begin at 8 a.m. at University of South Alabama Intramural Fields. Register online at thecharitychase.com or at McCoy Outdoor, Run-N-Tri or Running Wild at Fairhope. 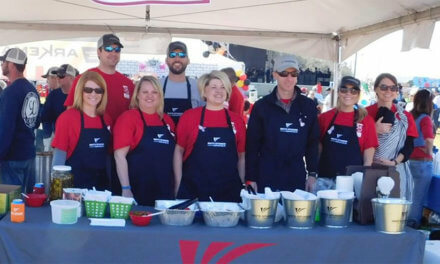 Flora-Bama’s 21st annual ‘Super Chili-Bowl Saturday’ Cook-off kicks off several annual events aimed at giving something back to a community that helped the iconic roadhouse to prosper over the last 50 years. Last year over $5,000 was raised to fight cancer. Entry fee is $40 per team, who will be competing for over $300 in cash prizes. All ingredients must be prepared and cooked on premises. 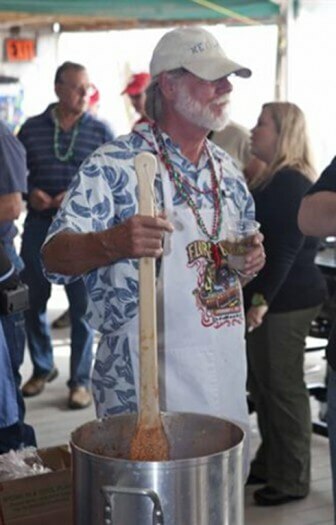 Souvenir chef apron and complimentary beer from the Goldring Gulf Distributing is provided to all contestants. A $2 donation per bowl, goes to American Cancer Society efforts to eliminate cancer as a major health problem through research, education, advocacy, and service. For more information, contact Jenifer Surface Ivey at jenifer@florabama.com or visit us at www.florabama.com or on www.facebook.com/florabama. Being Irish is not required! Open to residents of Baldwin, Escambia, Mobile and Washington counties. Join us for a shrimp sale and planning events for the official launch of IN-MB where dignitaries from Ireland will be here to welcome us to the Irish Network, USA. The sale and planning will begin at 6 p.m. at the Henderson Center, 5253 U.S. Highway 90, Henderson Antiques. For more information call or email Cece Redmond 251-281-8783, inmbc@outlook.com. The Moonlight Chasse Ballroom Dance Society hosts dance classes with professional instructors at 7 p.m., followed by dancing from 7:30 to 10 p.m. Admission is $10. There will be a cash bar and no need to bring a partner. Beginners are welcome. Fitzpen Place, 11247 State Highway 31, Spanish Fort. For more information, email Cassie Fishbein at Cassief13@aol.com. Join The Haberdasher at 451 Dauphin St. every Tuesday beginning at 9:30 p.m. for Bingo, with prizes every round and drink specials. Free to play. For more information call 251-287-1976. A wonderful group of talented children from East Africa is going to be performing at Daphne United Methodist Church in the church Sanctuary at 2401 Main St. in Daphne. 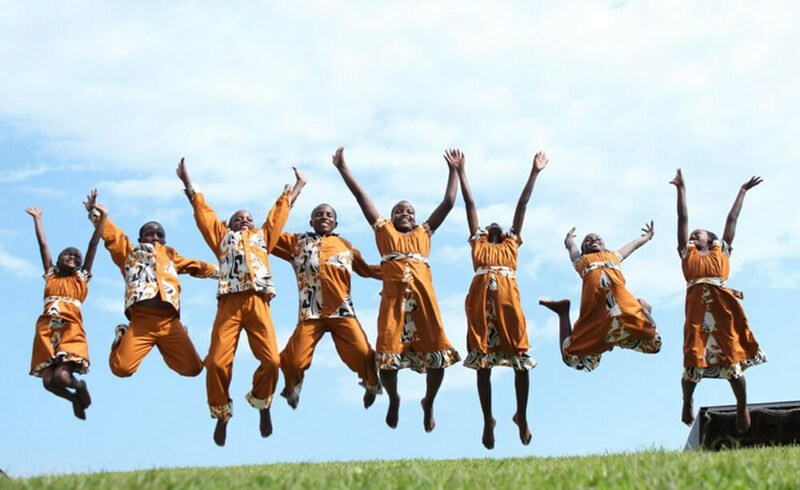 This choir, The Mwangaza Children’s Choir is an inspiring group of 20 hopeful and talented children, ages 8-14, admirably represent the orphaned and poverty-stricken youth of Uganda. Touring as a ministry outreach of Africa Renewal Ministries, they come to share a special message of hope through authentic Ugandan song and dance. The upcoming performance will be a part of Mwangaza’s tenth international tour. Please contact Randy Davis at randy@dumc.org or the church office 251-626-2287 for questions or more information. 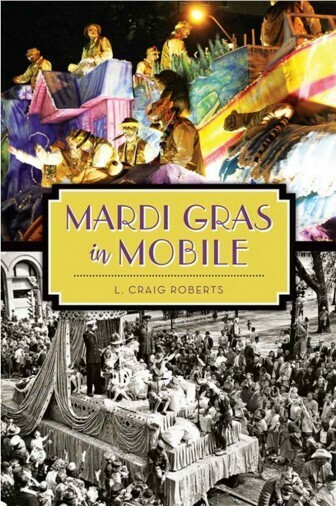 Mardi Gras in Mobile is the oldest Carnival celebration in the United States. We welcome Mobile’s own, L. Craig Roberts, the author of “Mardi Gras in Mobile.” The book explores the origins and unique elements of Mobile’s Mardi Gras celebration. The lecture and signing will begin at 10:30 a.m. at Bellingrath Gardens, 12401 Bellingrath Gardens Road. Contact Emily at 251-973-2217 for more information.